Mark was born and raised in Eustis, Fl. A small town just outside of Orlando. His first job was cooking at a short order breakfast restaurant in which he grew to lead cook at just 17 years old. He then went on to college at the University of Florida in Gainesville, Fl. He began working for a fast growing restaurant chain and helped open over 20 locations in two years. He realized during these years that he wanted to make this his career. He has now worked with some of the most well known restaurants and has worked his way through the ranks of management. He has over 20 years of experience and has seen his career take him all over the state of Florida. Hands on training is how he got where he is today. 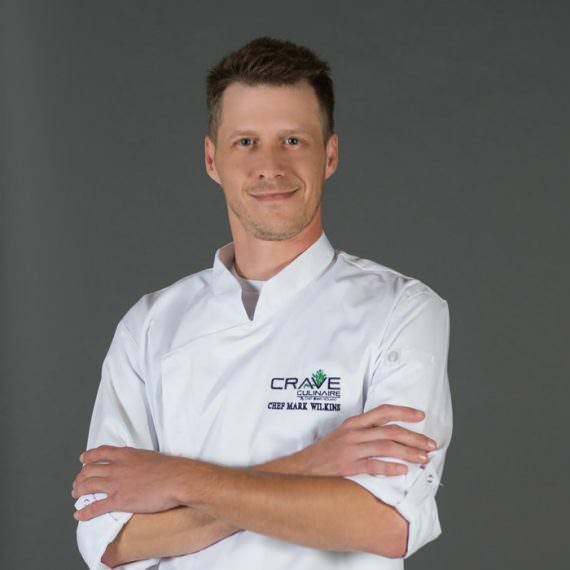 His passion for learning great food and engaging with guests has brought him to Crave Culinaire.